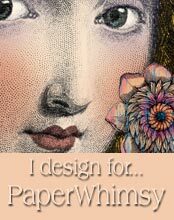 PUBLICATIONS Theresa’s work can be found in Leslie Riley’s recent books, QUOTES ILLUSTRATED and CREATE WITH TRANSFER ARTIST PAPER. EXHIBITIONS Theresa’s work was on exhibit at the Corcoran Gallery of Art in “Crossing the Line: Corcoran College of Art and Design Alumni Exhibit” from April 14th through May 20, 2012. Show juried by Barbara O’Brien of The Kemper Art Museum of Contemporary Art. Exhbited June 2011 at the Glenview Mansion Gallery in Rockville, MD. GUEST CURATOR Theresa was guest curator at Crescendoh for the week of Sept 13, 2010. REVIEWS Theresa Martin’s mixed media assemblages, three-dimensional works made of various materials, continue her exploration of the reliquary format as a vehicle for personal and political, historical, literary, religious or ecological iconography. These very visually works are rich in both materials and imagery. Inspired by the form of the medieval triptych, the majority consist of a central panel, with two wings on movable hinges, much like the portable altars of the 15th century intended for private devotion. Martin’s works encourage viewer interaction with the imagery and objects in her works, which are organized into themes or series as well… By Claudia Rousseau Glenview Gallery Installation Review Read complete review…..